Compound Interest is part of the wider topic of Interest. In the first part of this topic, we learned about Simple Interest. Well, simple interest is not the only interest mechanism used by lenders and borrowers. There is another method, one which actually runs majority of business operations and goes by the name of Compound Interest. Sham borrows a sum of Rs. 100 from Ghansham for a period of two years. The rate of interest for this loan is 10%. At the end of year one, the amount due is the principal and 10% interest on it, that is a total of Rs. 110. Now, effectively the principal value of the loan for the second year is no longer Rs. 100, it is in fact Rs. 110. That is what Ghansham would say and believe. According to him, for the 2nd year, he has lent Rs. 110 as that was the amount he would have had if he taken back the money at the end of year 1. Now for the 2nd year, the interest becomes Rs 11 (10% of Rs. 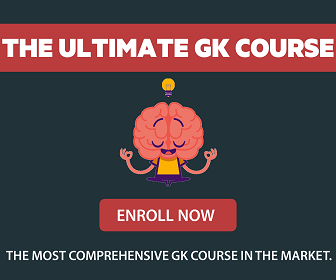 110) and the total amount Ghansham would get at the end of the second year will be Rs. 121. If the same calculation was done using the logic of simple interest, you would see that the interest due for two years would be Rs. 20 (10% of Rs 100 for two years). 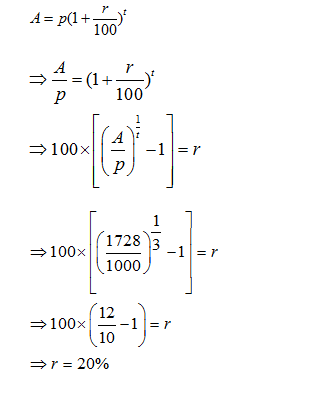 Thus, replace a S with a C and there is such a big difference in the calculations carried out. This covers the basic introduction for Compound Interest. Now let’s go through some basic concepts and acquaint ourselves with the mechanics of this topic. Principal (P): The original sum of money loaned/deposited. Also known as capital. Interest (I): The amount of money that you pay to borrow money or the amount of money that you earn on a deposit. Time (T): The duration for which the money is borrowed/deposited. The duration does not necessarily have to be years. The duration can be semi-annual, quarterly or any which may be deemed fit. Rate of Interest (R): The percent of interest that you pay for money borrowed, or earn for money deposited. Time for the actual learning to begin and you should learn the formula for Compound Interest. 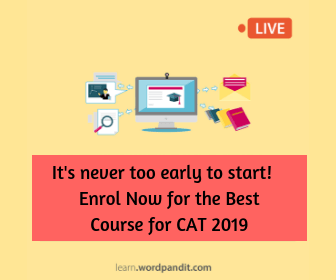 Useful Tip: In case of simple interest, principal and interest remain same for every year while in case of compound interest, the amount at the end of each year will be the principal for next year and interest for different years is not the same. 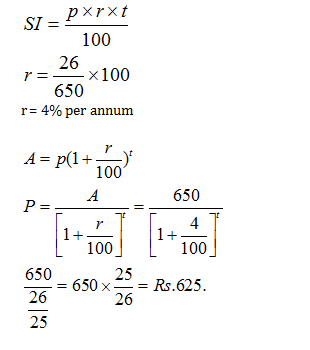 Example 2: Richa gave Rs. 8100 to Bharat at a rate of 9% for 2 years compounded annually. Find the amount of money which she gained as a compound interest from Bharat at the end of second year. 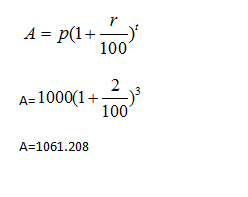 The question does not probe the amount, rather, it wants to know the CI paid, that the difference between the total amount and original principal. Simple Interest and Compound Interest are both related to the wider topic of interest. Even though these two are two types of interests on a certain sum or quantity, there is a marked difference between the two. When compounding is done on a sum of money, then the interest for the first year also gets added to the principal while calculating the interest payout for the second year. This happens for all subsequent years or the time duration when the interest is being levied (effectively, interest is being charged on interest itself). 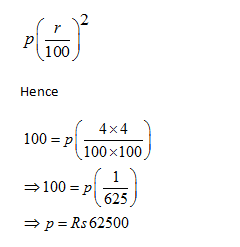 If difference and principal is given, you can easily calculate rate % from this formula. Example 3: The difference between compound interest and simple interest is 2500 for two years at 2% rate, then find the original sum. So, the sum is Rs.6250000. In the following section, we solve 5 questions that are based on the basics of Compound Interest. 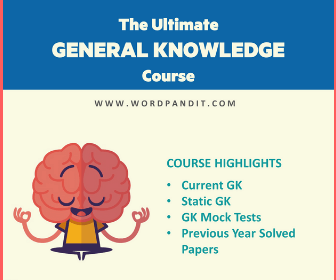 You will solve some compound interest questions in this section and with the help of these questions, you will be able to learn the basic concepts for this topic. Remember, learning a topic such through solved problems and questions is the best approach possible. Question 1: An amount of Rs 1000 is borrowed at CI at the rate of 2% per annum. What will be the amount to be paid after 3 years if the interest is compounded annually? 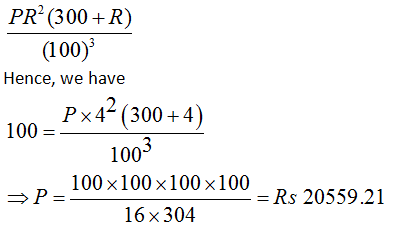 Question 2: An amount of Rs 1000 amount equates to Rs 1728 in 3 years when interest is compounded annually. What will be the rate per annum? Question 3: The difference between the compound interest and the simple interest on a certain sum at 4% rate for 2 years is Rs 100. What will be the amount invested? Question 4: The difference between the compound interest and the simple interest on a certain sum at 4% rate for 3 years is Rs 100. What will be the amount invested? Thank you so much for sharing this concept I am feeling helpful because of this page thank you so much again. Question 2 have problem in place of 2 year there should be three.